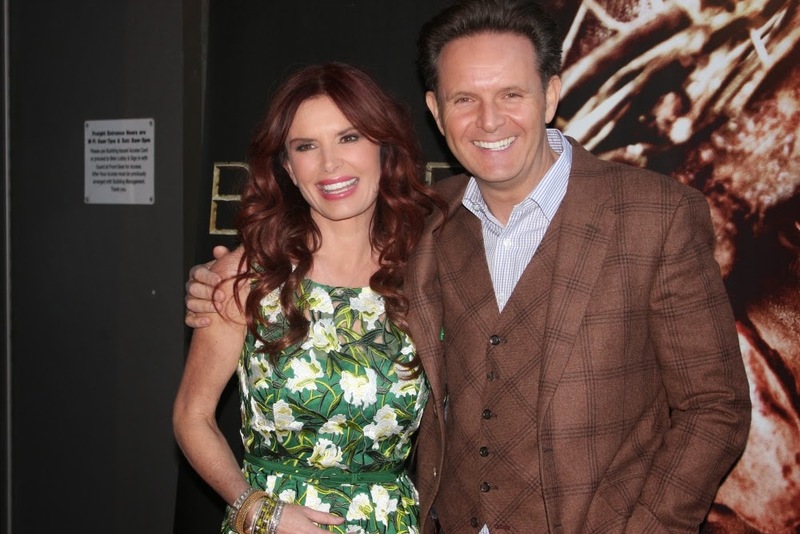 Roma Downey, the executive producer behind the upcoming 12 part series "A.D. The Bible Continues," has described the project, a sequel to 2013's "The Bible" miniseries, as "Game of Thrones meets The Bible." Downey told the Irish Voice in an article on Friday that she has high hopes for "A.D.," which premieres on Easter Sunday night, and will follow the events of Jesus' disciples after Christ's resurrection. "In 2013 we brought you 'The Bible,' in 2014 we brought you 'Son of God' and now it's 2015 and we're about to launch on network television 'A.D. The Bible Continues,'" said Downey, who is co-producing the series alongside her husband, Mark Burnett. "There couldn't be a more perfect day to tell you this story than Easter Sunday. And it runs then for 12 weeks and it's our hope then that it will get renewed and run for many years to come." A special preview for the new miniseries was released in February at the beginning of the Lenten season, and revealed that the show will follow the first 10 chapters of the book of Acts. One big change this time around is that unlike "The Bible," which aired on the History Channel, "A.D." will be shown on NBC. "We are extremely ethical, and I spoke to them," Burnett said about the change. "I believe this belongs on American [broadcast] network. It has the biggest privilege in the world … to have an hour of primetime on American [broadcast] network TV; there is nothing like it on Earth." In her latest interview, Downey said that "A.D." is not a closed-ended series, and there is potential that the series keeps going. "There's no better story than this segment of scripture from the book of Acts woven together with stories from history that we've pulled in from the writings of Josephus (the first century scholar) and others," she said. Part of the show will follow the Roman Empire and its dealings with the Zealots, a first century political movement, and the Temple Authorities, shepherds of the Jewish faith in the first century. The series will focus on the political struggles and tensions that Jesus' disciples had to deal with in the early beginnings of Christianity. "Our story picks up at the crucifixion of Jesus and takes us though to the resurrection. We hear how aware the Roman authorities were of the prophecy that he might rise. They go to great lengths to ensure the tomb is well guarded," she explained. The actress and producer noted that "A.D." is not aiming to be "preachy" in nature, but wants to offer something "exciting." "Audiences are sophisticated and they demand a high quality production and we have delivered a high quality cinematic experience that they can enjoy," Downey said.